I am planning my own wedding, and I have do not have the slightest idea on where to start, and if I will have enough money. My fiance and I have decided to get married on June 04, 2011. That is about 62 days from here. We are planning on inviting approximately 60-75 people. Give or take. We are working with about $4000.00. The wedding party consist of 2 bridesmaids, 2 groomsmen, 1 bestman, 1 maid of honor, 3 flower girls, 1 ring bearer. I was wondering instead of having my wedding at a venue, will it possibly be less expensive to have it at a hotel? I am really getting frustrated with this whole wedding thing. What steps do I need to take next? Congratulations on your engagement and don't worry you have already done the first thing which is to set a date and numbers. The next thing you need to do is find your venue. 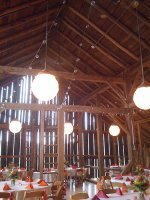 With a $4000 total wedding budget about half of that will be needed for the reception, so you are looking for a venue that will hold your numbers and will provide everything for $2000. It is possible! Some hotels that need to boost business and offer wedding packs where there is a set price for the food, drinks and venue hire. You may need to be a bit flexible on the date as weddings do get booked up years in advance. 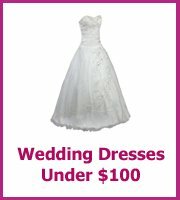 You will find that Friday weddings are slightly cheaper than Saturday weddings. When you have your venue booked you will have $2000 for dresses, wedding cake, suit, rings, flowers, invitations and transport. Use this site to find some great deals and call in as much help as you can to get everything ready. 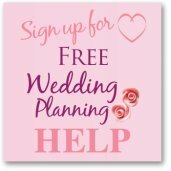 Comments for I am planning my own wedding, and I have do not have the slightest idea on where to start, and if I will have enough money. There are so many Ways around a wedding budget. I am planning my wedding alone and everything is DIY. Some helpful hints, try to find a Local Hall and like a Elks Lodge, or your city's local recreation hall, or senior center, and if you really dare to be creative try your High school Gym or Cafeteria with the right Décor you could make it look awesome in there! Or Your church, all of these places could be free or have a really cheap service charge. For catering try to find a up and coming caterer that could use portfolio building, you can look on craigslist or call your local community college and get a student ready for graduation, they are normally eager to work and free because they are starting out. You would probably just pay for the cost of food and Rentals for eating utensils. 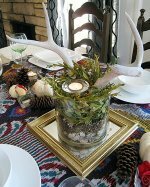 I did this and my rental total is 300 for everything I need including extra wine glasses for my centerpieces. For your Favors get Creative Buy a Nice cheap piece of Fabric to match your colors, and drape it on a wall, have you aunt or little cousin that?s always the Family picture taker create shots of your guest in front of the back drop you created. Bring you photo printer and Print photos there on the spot for them to take home. Have a pre maid Logo to place on top of the pics before printing ( I can create that for you let me know) and Boom! A quick inexpensive favor, However make sure you have enough Ink! Décor can be really cheap to be resourceful Ask around to family and get unique vases, picture frames, and what not?s and there is so much you can do. You can also check the website www.saveoncrafts.com they have everything 50 to 75% cheaper than any craft store around and even cheaper than adding things up at the dollar store. Get your flowers at Costco! You can go a week before and request the flowers you want and they will have them ready for you 75% cheaper than the Local florist! There is a whole world of Creativity with a 4000 budget. Please respond to the post if you need more Ideas! Love to hear from you!